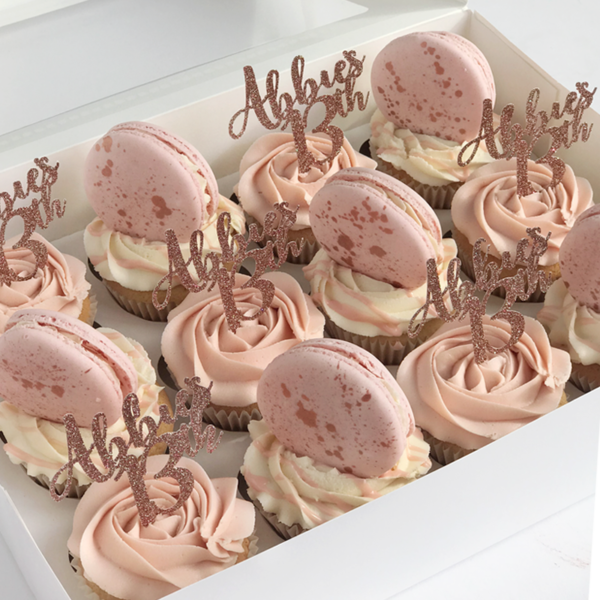 13th Birthday Cakes – Our Luxury Cupcakes are perfect for Baby showers, Birthdays, Wedding favours, anniversaries and make a great gift for someone special. 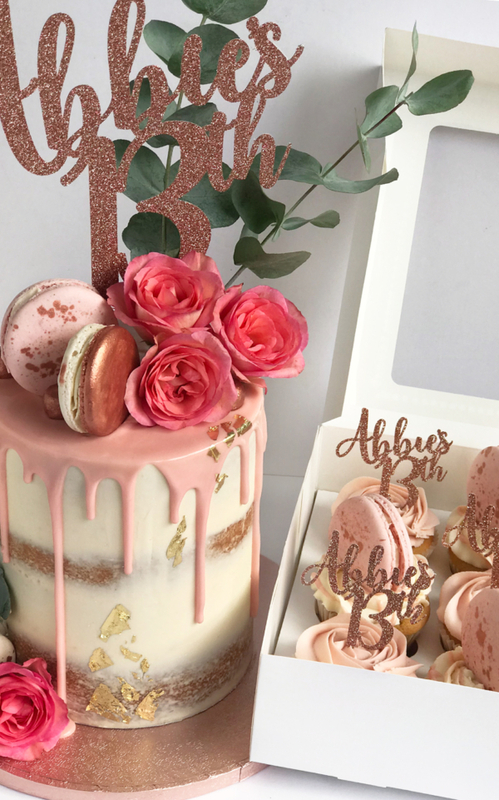 These super stylish cakes are topped with homemade macaroons, and custom cut toppers all to match your chosen colour scheme and style. Custom toppers come in silver, rose gold, and gold. Just let us know your chosen buttercream & topper colours, name, age, small message/event and we can create a unique personalised topper for you.